Several New York legislators are working to not only legalize undocumented workers who worked on the rescue, cleanup, and recovery efforts during the aftermath of 9/11, but who also have recently been placed in U.S. Immigration and Customs Enforcement (ICE) detention facilities for drug and nonviolent offenses committed long ago—as far back as the 1990s—which have prevented them from legalizing their immigration status. Up to 2,000 workers who helped at Ground Zero in 2001 are estimated to have been undocumented. The bill—the 9/11 Immigrant Worker Freedom Act—would protect undocumented 9/11 clean-up workers from deportation by providing them with legal, permanent resident status. The bill is being introduced by Rep. Joe Crowley and co-sponsored Reps. Espaillat, Nadler, and Velazquez. While the 9/11 Health and Compensation Act of 2010 granted medical benefits to all the workers and volunteers who helped out in the aftermath of 9/11, individuals with prior drug offenses—regardless of the good work they did to help us during 9/11—became a priority target for deportation when the Trump administration changed the deportation guidelines, even in cases where state governors provided pardons for prior offenses for these individuals. Now, many of these individuals not only face deportation, but are dealing with numerous health issues as a result of the work they did at Ground Zero in the aftermath of 9/11. Many of them were arrested during “routine” ICE check-ins (what many call “silent raids”) in February and held in detention. 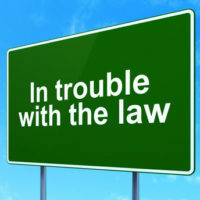 Many of their prior crimes are for minor offenses, and many of them involved entering into guilty pleas without the assistance of legal representation. In just the first 100 days since President Trump signed several executive orders cracking down on border security and “sanctuary cities,” ICE has arrested more than 41,000 undocumented immigrants; an increase that’s close to 40 percent in comparison to the same time last year. ICE agents and officers claim that they are targeting individuals who are a threat to public safety and national security. However, according to one report, while nearly 75 percent of those undocumented criminals arrested between January 22 and April 29 are convicted criminals, only 2,700 of these convictions were for violent crimes. Entering into guilty pleas without working with an experienced criminal defense attorney can forever change your life. In some circumstances, it can even prevent you from eventually becoming a U.S. citizen. If you have been accused of a crime, or have a prior conviction on your record and need assistance moving forward, we can help. At the office of Phillip J. Murphy, we provide free consultations during which we evaluate your case and advise you of your rights. We also answer any questions you might have. Contact us today to find out more.